Our county fair was this weekend. It’s a lot of fun. We all three enter something so we can get exhibitor passes which allow us to go in and out all weekend. David entered a photograph, Davey an awesome dinosaur Lego sculpture, and I had my knitting. This year, I entered the sweater I made for Davey. I have not made many sweaters and I think the assembly can be tricky to pull off. While not perfect by any means, I had thought it went pretty well over all. So I have to admit that I was a little disappointed to see a red ribbon. Not that there is anything wrong with that, but I’d worked so hard on the sweater! I’d hoped for more. It kind of bugged me, and I was looking forward to seeing the critique when I went to pick it up last night. I had a feeling that the problems might be in the finishing, and it turns out I was correct. Although I did not anticipate what I’d done (not done rather). Unwoven ends. 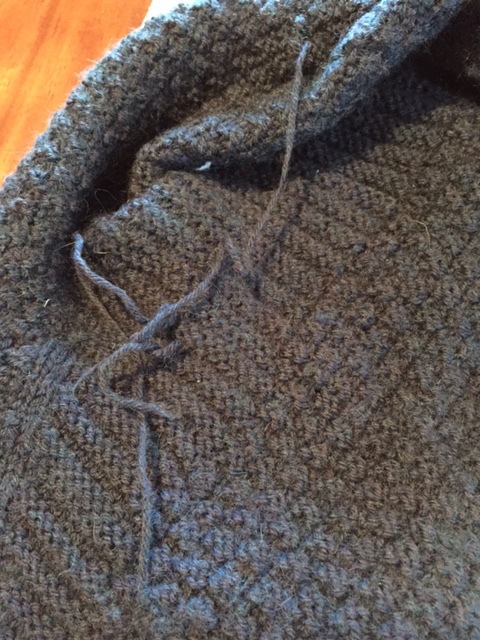 Not only was one not woven in, it was somehow attached on both sides and needed to be clipped and woven in. So that was embarrassing. However, I do feel lots better now that I think I understand what the major problem was. 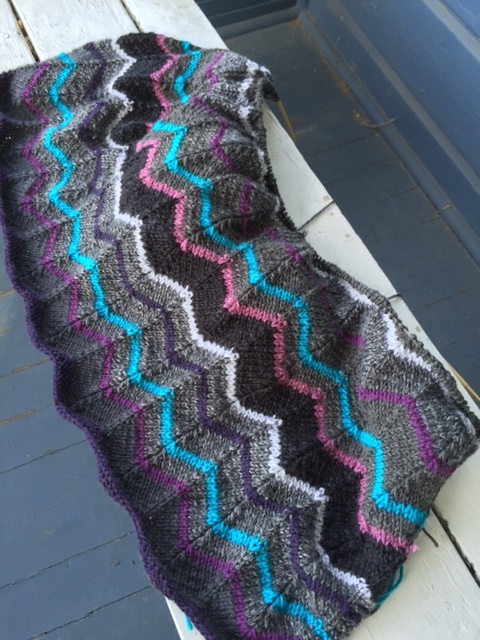 When I finished the sweater early in the year, I had some moments of panic because when I blocked it, it had grown exponentially and was humongous. In trying to repair that damage, I must have forgotten to go back and finish the INSIDE! Ugh. On the bright side, they liked my Wonder Woman Hat. That’s a mistake I won’t make again. I can already see myself obsessively checking for ends for years to come. So I’ve started a new project. When I saw my sister a few weeks ago, she was working on an afghan which I really liked. It’s a pattern called “Catch Some Waves“. It’s going to take awhile to finish, but it’s a great pattern for peaceful knitting. 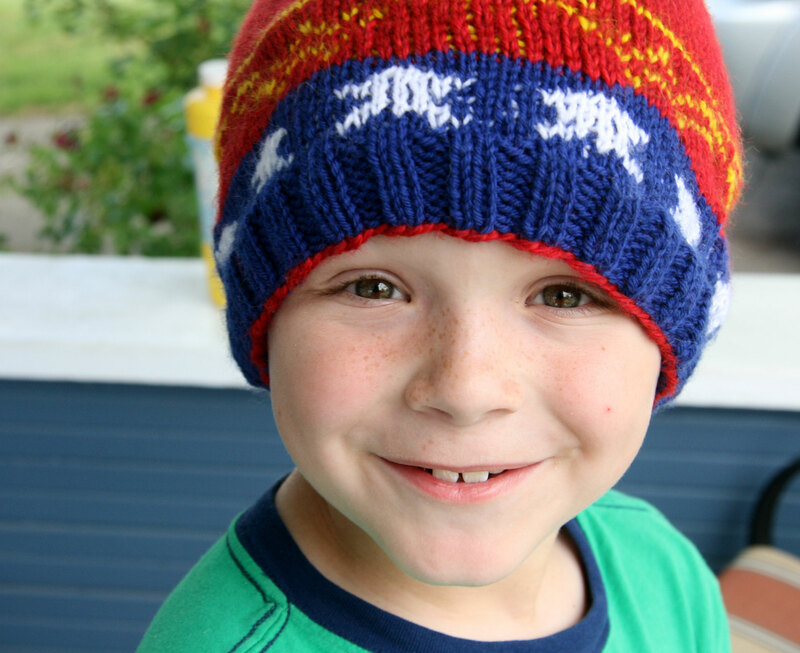 The pattern is easily memorized, but it’s not completely mindless so I don’t get bored knitting it. I am working from leftover yarns from my stash, and it makes me feel great to know that I will be using some of it up! 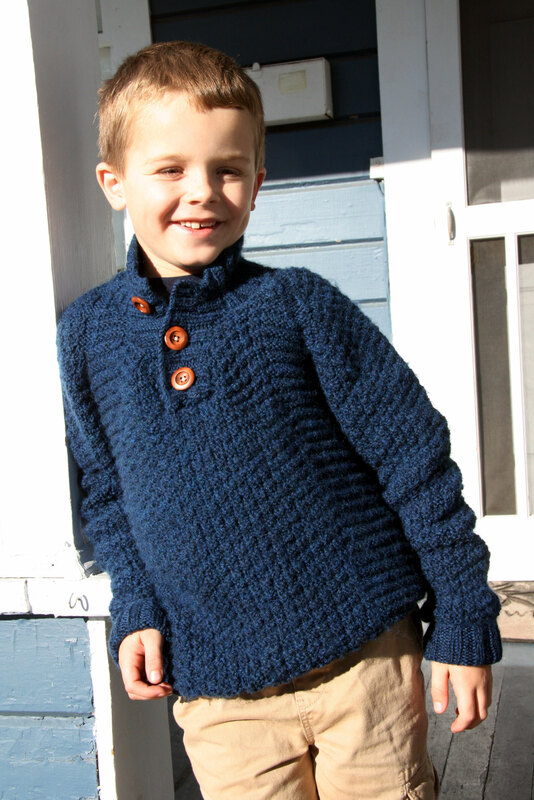 This entry was posted in Knitting and tagged Catch Some Waves, Stashbuster, Wyatt Sweater by cpeezers. Bookmark the permalink.